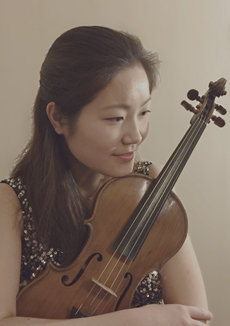 Having completed her bachelor’s degree at the Juilliard School, Hikaru Yonezaki continues her studies in the master’s program with Masao Kawasaki and is a member of the Juilliard Orchestra. She played the Brahms Concerto for violin and cello with the Boston Philharmonic Youth Orchestra and was featured at the Boston Philharmonic’s Rising Stars Gala. Recently she participated in the Fritz Kreisler Gala at the Mariahilfer Kirche in Vienna and the Mozarteum International Summer Academy, worked with young musicians in South America, and arranged programs for nursing facilities in Asia.